Hunting in Asia is a grand adventure. The world’s largest continent, it holds more varieties of large animals than any other continent on Earth. Asia is a paradise for the mountain hunter, with the largest variety of wild sheep and goats found anywhere in the world. 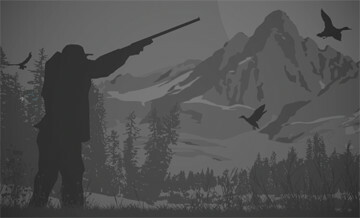 Asia also offers opportunities to hunt bears, gazelles, roe deer, stags, and other antlered game. The continent not only offers great hunting but also fantastic travel opportunities, with the chance to experience different cultures. In addition to wild country and lots of game, you will see mosques, temples, historic ruins, and ancient cities and towns. Some of the most sought-after species in Asia include the many species of ibex, from the bezoar ibex of Turkey to the mid-Asian ibex of Kyrgyzstan and Kazakhstan to the Altai ibex of Mongolia. Asia is home to the world’s largest wild sheep, the argali. Best known is the Marco Polo argali, hunted in Tajikistan and Kyrgyzstan, but the Altai and Gobi argali of Mongolia are also impressive, sought-after sheep. The tur of the Caucasus Mountains are said to be among the most difficult animals in the world to hunt because of the steep terrain where they live. Huge red stags and large roe deer are found in many parts of Asia, as are massive brown bears. Travel in Asia can be challenging because of the large distances to be covered, so some patience and flexibility in your plans is helpful. In many cases there is also a language barrier, as English is not widely spoken in much of Asia. Most outfitters will provide an interpreter in camp, but it’s likely your guide will not speak English. Depending on the region and species to be hunted, the terrain can be very difficult, as Asia holds the world’s highest and most rugged mountain ranges. Asia is not an easy place to hunt, but it holds great rewards for the adventurous hunter. Hunting for one of the most desirable trophy for trophy hunters all over the world - Mid-Asian Ibex. Price is valid in case of 3 hunters in the group only!!! Hunting for Mid-Asian Ibex in the unique national park area. 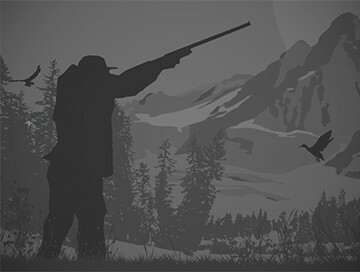 A hunter is able to shoot wild boar and wolf as additional trophies during the Ibex hunt. Day 1 arrival to - Dushanbe, customs formalities, transfer to the base camp, accommodation. Day 2-7 - Ibex hunting. Day 8 - going back to Dushanbe, overnight. Day 9 - flight back home. Classical spring hunting for bears in Kamchatka.